Broken Brass injects the brass sound with a fusion of hiphop, funk, soul, dance, jazz (and much more) and turns it into a blazing mixture of energy. They’re taking brass to a new level, creating a 2.0 version of the vibrant brass sound. With origins based in the Netherlands, ​Broken Brass ​have been firing up a storm all over Europe with an energizing and eclectic live sound, pairing punchy basses with hard-hitting brass. Selling out on CDs and vinyl from their previous albums and consistently filling 300+ capacity venues without promotion and on merit alone, shows that underestimating this brass band is out of the question. The enigmatic eight-piece have conquered most of Europe with slots on​ ​Jazz á Vienne, Secret Garden Party, Shambala, Kendall Calling, Green Man, Fusion Festival, North Sea Jazz, Eurosonic and playing shows in India, Russia and Algeria​. In addition, the globetrotting act has sold out multiple UK and Dutch venues, gained airtime from all the big Dutch media and in the UK from a.o. Craig Charles Funk and Soul Show and BBC Radio 6. 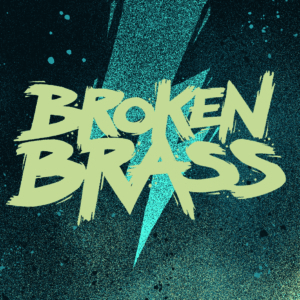 With more than 500 shows under their belt, and no signs of stopping, ​Broken Brass ​is a live force to be reckoned with. We’ve had a great great weekend in Austria and Switzerland! Thanks Treibhaus Innsbruck and bee-flat im PROGR for having us! Broken Brass Ensemble is with Pieterklaas de Groot and 7 others in Liechtenstein. Reinaldo Gaia is super exited for our short but awesome TOUR DES ALPES this weekend! Who is with us? Broken Brass Ensemble is with Alex van der Last and 2 others. THANK YOU everybody at Podium Asteriks en De Koperen Tuin! We had a blast at the last show of the NL tour! You made it one to remember! Who's with us tomorrow at Podium Asteriks?! The last show of our tour!